We focus on logistics so you can focus on selling. From warehousing and distribution to e-commerce fulfillment, transportation and custom solutions, our wide-ranging services focus on the specific and ever-changing needs of retail organizations – both brick and mortar and internet-based. It’s a combination of services and dedication that allows us to satisfy the demands of daily and seasonal volume fluctuations, time-sensitive deliveries, and special packaging needs to keep your product moving as promised. Logistics and distribution are as vital to your organization’s online success as sales and marketing. 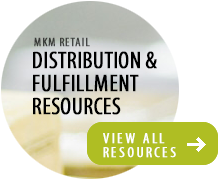 Download our free PDF resources to learn more about retail logistics and how MKM can help. Clients across a variety of industries consider MKM Distribution Services an integral and important part of their business strategy. Contact us to learn more.